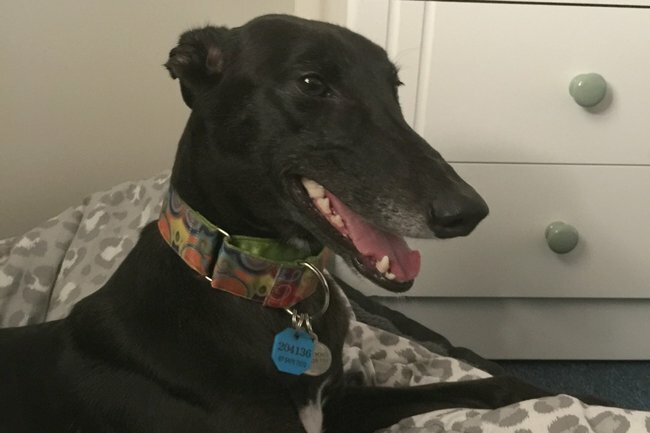 Dogs for depression: 'How my greyhound saved me from my depression'. "I was depressed and lonely for years. Then a greyhound came into my life and saved me." 1984 is a year I’ll never forget. I was living in the outback when I became seriously ill. It felt as if somebody had poured cement in to me, and I also had shooting pains down my spine. I couldn’t move my body and I was really scared. My friend placed me on a mattress in the back of a ute and drove me to the nearest hospital two hours away. From there, the Flying Doctors Service transferred me to a Perth hospital. It was touch and go for a while. I spent the next two months recovering. 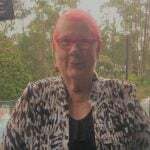 The specialist couldn’t make a definitive diagnosis, so I had to travel to Melbourne to see a top specialist where I underwent many tests over several days. The results showed I had multiple sclerosis, more commonly known as MS.
MS is a condition of the central nervous system, interfering with nerve impulses within the brain, spinal cord and optic nerves. MS symptoms are varied and unpredictable, depending on which part of the central nervous system the lesions develop. In my case, MS causes problems with balance, muscle control, spasms, weakness or fatigue, lack of co-ordination, bladder issues, blurred vision. More recently, those symptoms have been coupled with the inability to walk any distance, cognitive difficulties as well as a considerable amount of pain. 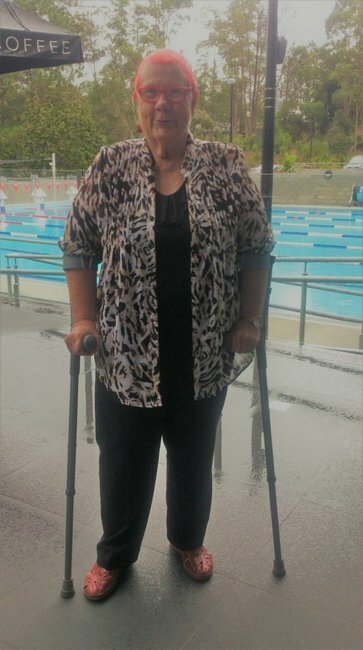 Sheila Clarke was diagnosed with Multiple Sclerosis in 1984. Image: Supplied. I’m a very positive person and always look to creatively improve my situation. In the past, I have been involved in voluntary work, learned to paint and taught art, which gave me great joy. Sadly, I had to let these go as it was becoming more and more difficult to achieve satisfactory outcomes. Every day, it’s a real struggle to stay positive. I now have two other serious illnesses as well and the pain, at times, becomes too much. I don’t have any family support and it’s rare to hear a knock on the door. As time has gone on, my world has become smaller and smaller and I’ve become more and more isolated. I began to suffer from depression and I longed for a sense of belonging - a smile, a gentle touch, an act of kindness, the feeling that I matter to someone and that I can still have a role in society. I wanted to end my feelings of loneliness. At one stage, I thought of leaving this world as I felt I no longer served a purpose. It seemed that nothing would change. Then a miracle happened. One simple phone call changed everything. A woman named Faith Wild came into my life and agreed to help me find a puppy. But my vision of a cute puppy vanished quickly, as she made me aware of the pitfalls and difficulties that a young dog would bring, given my circumstances. She suggested a rescue greyhound. I tearfully responded that a greyhound would be wonderful, but my one bedroom unit on the second floor would make that impossible. “No, that’s perfect,” responded Faith and I put my trust in her hands. "We fell in love instantly." Image: Supplied. 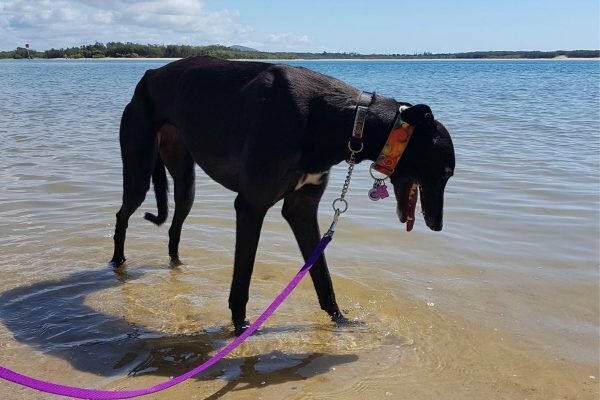 I was soon asked if I would like to adopt a black lady greyhound called Mindy, who had spent her lonely life in a paddock. She is what you call wastage from the greyhound industry. She came to Friends of the Hound in a sad state but after a short time adjusting, was ready to be introduced to me. We fell in love instantly. We both found what we needed. Faith helped me and Mindy to navigate everyday life, from going up and down in lifts to walking calmly beside my wheelchair. She is gentle when I have to use my crutches and has adjusted well to apartment living. Mindy is now called Missie YoKo or YoKo for short. I changed her name so she could leave her sad past behind and we can both now look forward to happier days. She knows when I’m having a bad day. She continuously hugs me and stays nearby. Everyone just loves YoKo and people speak to me wherever I go. I’m no longer lonely. YoKo and I love and care for each other. The future is much brighter. This sweet black dog sure got rid of my other Black Dog.